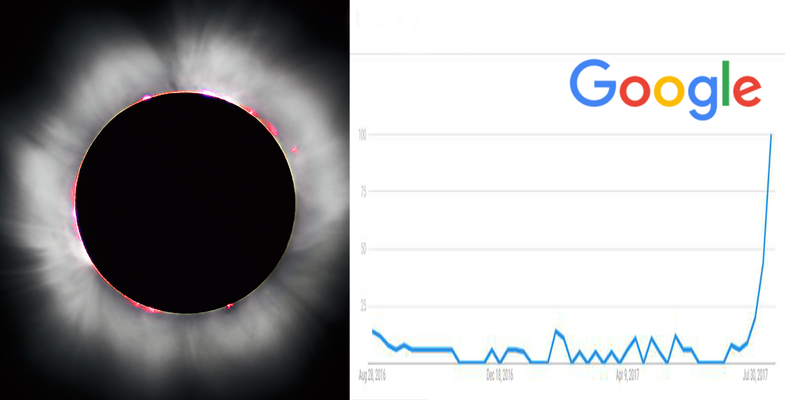 There was an eclipse on the 21st of this month, dubbed “the great American eclipse” and judging by these google results it may be a blessing if you are one of a very small group who managed to miss it. If you are in the majority, chances are you heard it being shouted from the rooftops that there was going to be a once in a lifetime chance to experience this eclipse. If so you will have likely heard the accompanying advice- do not to look at the sun without the correct protective glasses. Judging by the spike in search terms post eclipse this message did not sink in, with even the President Donald Trump being snapped looking at the sun without glasses. The search term “eclipse headache” suddenly spiked during the event. 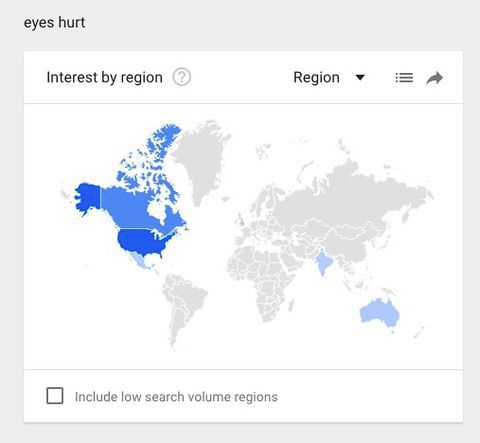 This was followed by a mass of googlers searching the terms “eyes hurt” from North America. Some other related terms included “looking at the Sun” and the smoking gun in case you thought this was coincidental “I looked at the Sun”. Some people thought that sneaking a look may not be so bad, but then took to google in a panic. So it seems a lot of people skipped the advice they were offered and decided to go ahead and take a peek at the sun, and can you blame them, given the fact that the head honco- the president has done the same? So what do you need to know if you have “accidentally” looked at the sun without the correct eye protection? If you have experienced any of these symptoms after viewing the eclipse, you should see a qualified healthcare professional. Also we should maybe tweet “The Donald” to do the same. Please share this article or tweet it to Mr Trump!
? ‘Vegan’ Named Top Wedding Trend In 2017 By Vogue Magazine President Trump Stared At The Solar Eclipse Without Protective Glasses ?